On 31 July 2017, the ZEABORN Group signed the contracts for the purchase of five 30,000dwt Superflex Heavy Lift vessels. All of these vessels are sister ships of the Rickmers Hamburg, which was previously acquired, and are employed in the Rickmers-Line liner service. ZEABORN already acquired the Rickmers-Line in April this year. The parties involved have agreed not to disclose the purchase price. 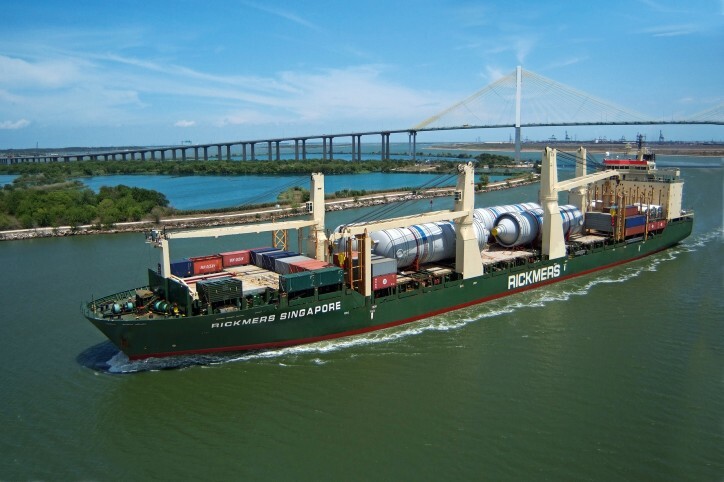 "The purchase of these five vessels from Rickmers Holding is therefore not only a further commitment to the expansion of commercial activities and of the Rickmers-Line but also ensures independence from third-party tonnage and external influences. With the ownership of the liner-service vessels, we are able to ensure the Round-The-World Pearl String liner service for our customers on a sustainable basis", explained Ove Meyer, Managing Partner of ZEABORN, with regard to the transaction. More specifically, the transaction relates to the following vessels: Rickmers SINGAPORE, Rickmers JAKARTA, Rickmers NEW ORLEANS, Rickmers SEOUL and Rickmers DALIAN. These vessels have a deadweight all told (DWAT) of 30,000 mt, each with four cranes, having a combined lifting capacity of 640 tons, and are equipped with intermediate decks for optimisable loading capacities. While the title to the vessels will pass to ZEABORN by the end of September, they are already available to the shipping company without any restrictions. Rickmers-Line's CEO, Ulrich Ulrichs, commented: "The acquisition of the five Superflex Heavy Lift vessels manifests our commitment to the liner services. Needless to say that continuity and reliability are key in liner services. Securing the availability of suitable tonnage adds to this." In total, the companies under the ZEABORN umbrella operate a global team of almost 200 staff and a combined fleet of around 50 multi-purpose vessels, with a deadweight all told (DWAT) ranging from 7,500 to 30,000 mt and a combined lifting capacity of up to 700 tons.